Subject: We love our bulldog! 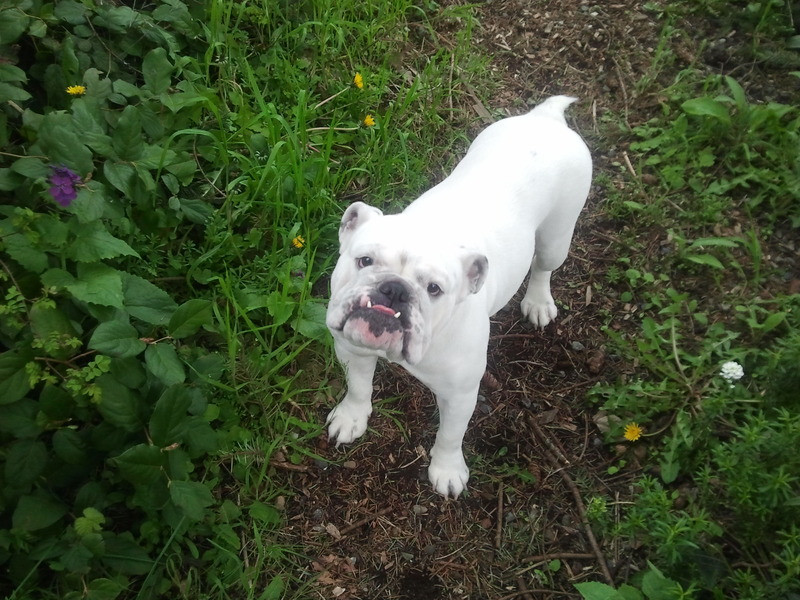 I have a 3 1/2 year old female English Bulldog (Alice) I got her from you when she was just a puppy. My family and I absolutely LOVE her and have been wanting to breed her, but held off because I didn’t have the time to do so properly. I live in Fort Worth, TX now and was hoping you may know someone down here who has purchased a male bulldog from you that would be interested breeding. I have attached a couple pictures I took of her! 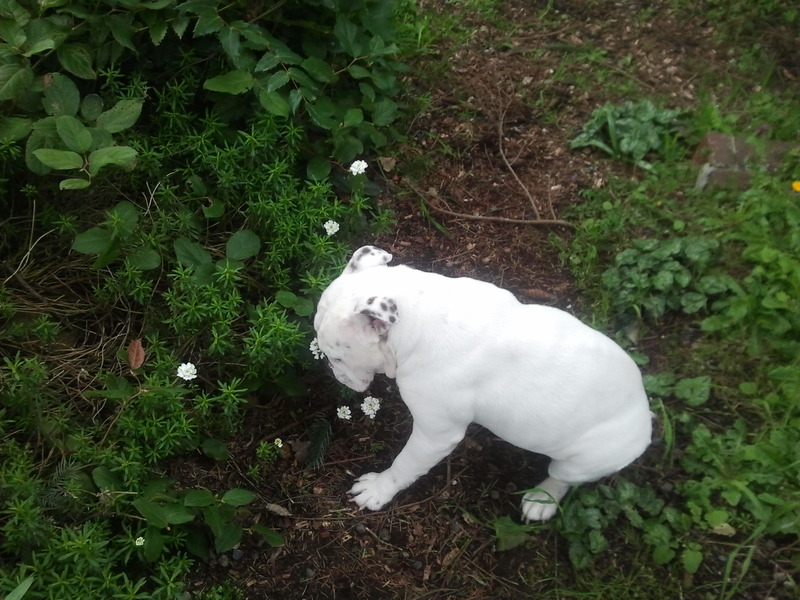 She is loves smelling smelling flowers and eating them.